Another Texas Murder Scene (ATMS) was formed in Pampa, Texas in 2008. Citing influences from a variety of bands including Pantera, Lamb of God, Testament, Iron Maiden and more, the band takes this inspiration and in turn brings their own unique blend of metal to the table. 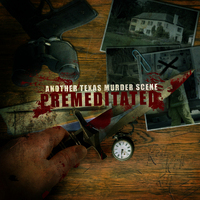 With a growing reputation throughout Texas for their strong, energetic live show, Another Texas Murder Scene will release their first full length CD in November 2010.
reminds me of a band before the lead singer passed away . keep up the good work ,, i can dig it !!!!!!!!!!! !